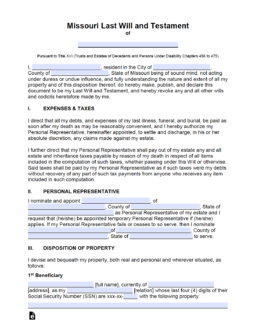 Guide to Wills – Provided by the Missouri BAR. Signing (Section 474.320) – Two (2) competent Witnesses in the presence of the testator. 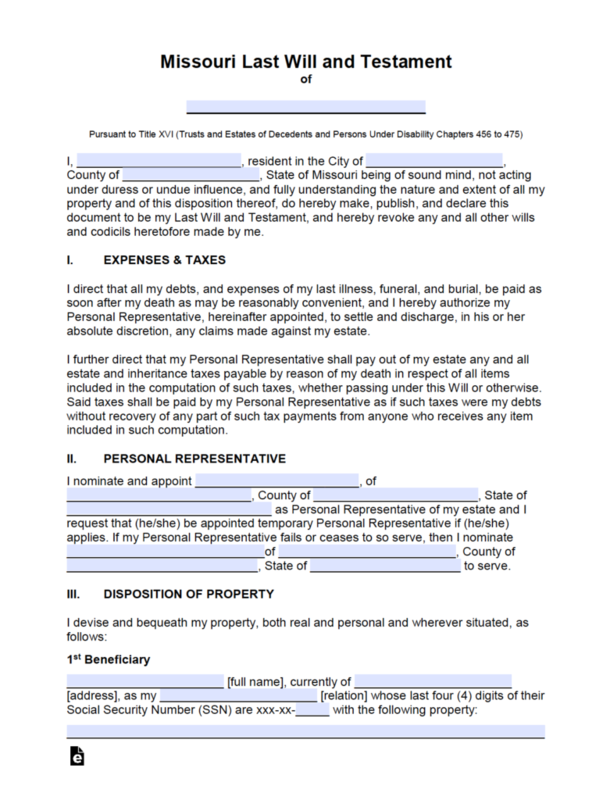 Step 5 – Signatures/Witnesses – All signatories must be present. Step 7 – Notarization – Once the notary public has witnessed all signatures they shall then complete the remainder of the document.